Just a showcase shot of my EEE 1000H in action. Using ScrotWM in this shot. 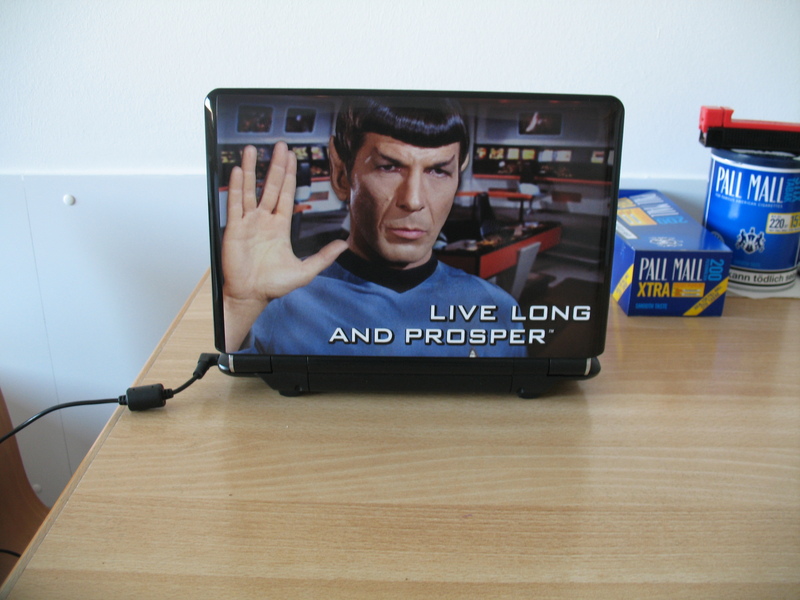 You should recognize the person on the netbook skin. He is my God! EEE 1000H Showcase -Shot II: Fascinating! The following shot details the working screen. As usual, click for full view. Here is another screenshot of my EEE 1000H. Of course it is powered by FreeBSD 7.2 Stable. Except for wireless, almost all the features that I need work. Hotkeys, and most importantly, the monitor switching works fine. I have no use for the camera and bluetooth, so it’s something that I am not interested in. I still havent had the time to work on the wireless. Of course one could use ndisgen to build the ralink 2860 driver from the Windows driver, but so far there are some performance issues it seems from what I have read in many FreeBSD forums. But on the BSD front in general, its great that OpenBSD has support for this chip. Also since I am on a wired network in my office, its no big deal. Anyway here is the current screenshot from my EEE. 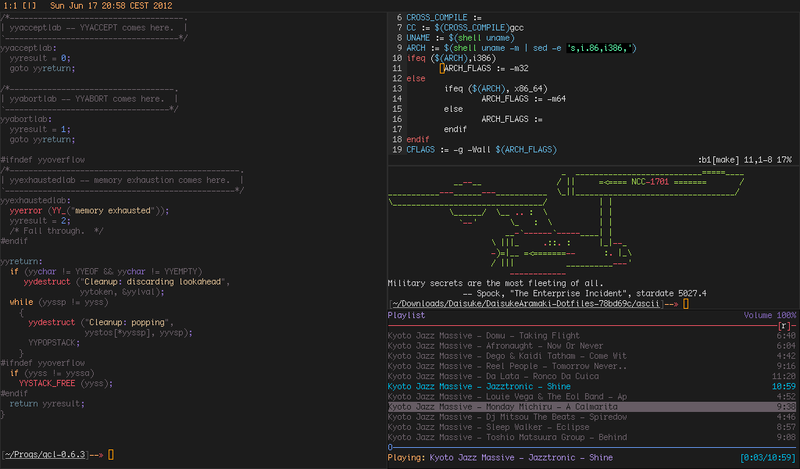 Colors are a little bit different, and the window manager is as usual EvilWM. Another major difference is, now I have a linear conky, instead of the sticker, with the same info. Thought it went well in transparent mode with this wallpaper. For people who are interested in this totally unobtrusive wallpapaer, just go back a few posts, and you can fin the link for the wallpaper. By the way I am planning to move all my configs over to github over the weekend, since dotfiles has gone bust, atleast now. Now lets get to the screenshot. Click on the image for full view. 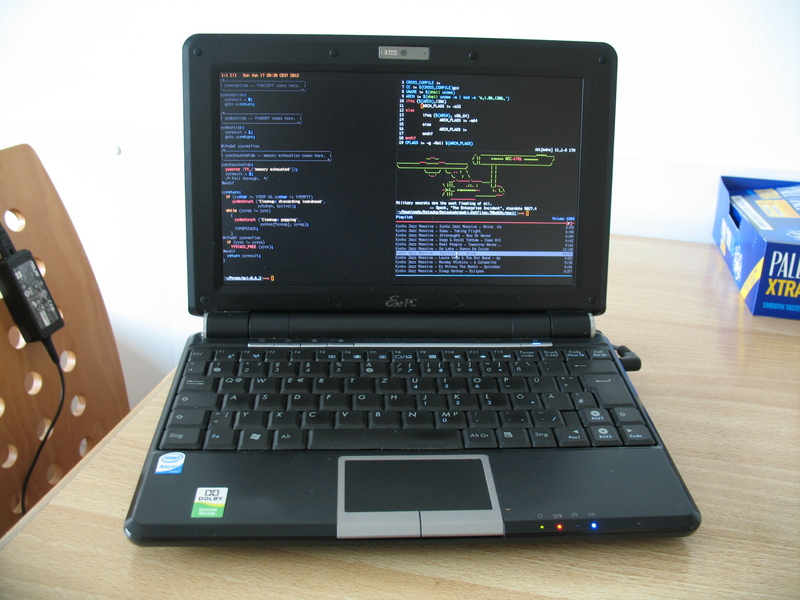 Nothing much, just thought of posting a screenshot of my EEE Pc in action. As I had mentioned in some of my earlier posts, I have a very barebone EEE setup. Obviously it runs Lunar Linux, and there are no window managers installed. I have dwm, and evilwm as my primary wm’s, and just now compiled fluxbox, just because I am a huge fluxbox fan, and tend to use it from time to time. But most of the time I just code and don’t get out of the console, and when its not so important, elinks takes care of my browsing efforts. 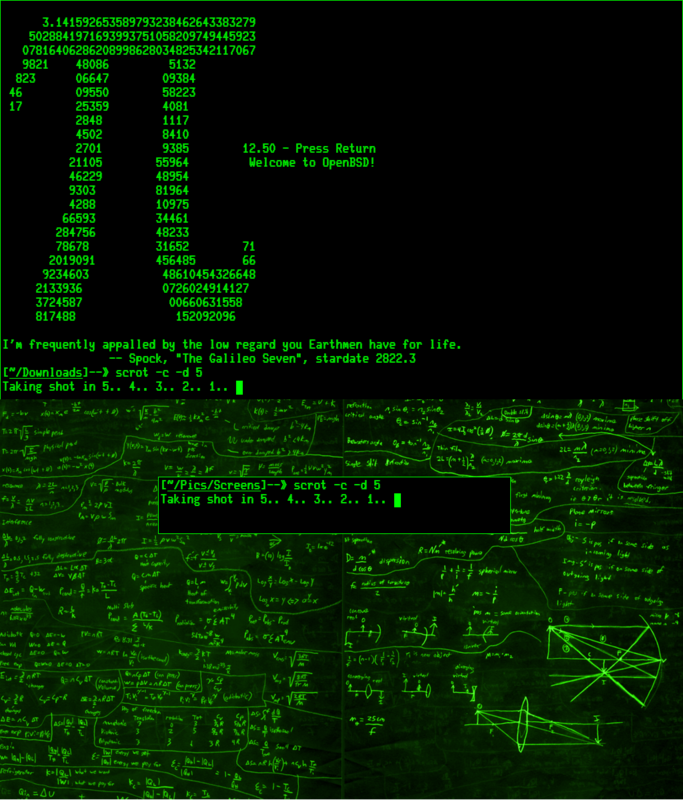 So during such days all I use it the tty console, with framebuffer enabled. That gives me a lot of screen real estate, and dvtm, gives me a great way to utilize the space. I have to try out the vertical patch fro screen by the way, may be over the weekend. Terminus comes to the rescue as far as the console font is concerned. I do like the default console font, but I am more used to terminus. Anyway here is a screenshot of my framebuffer on my EEE Pc. 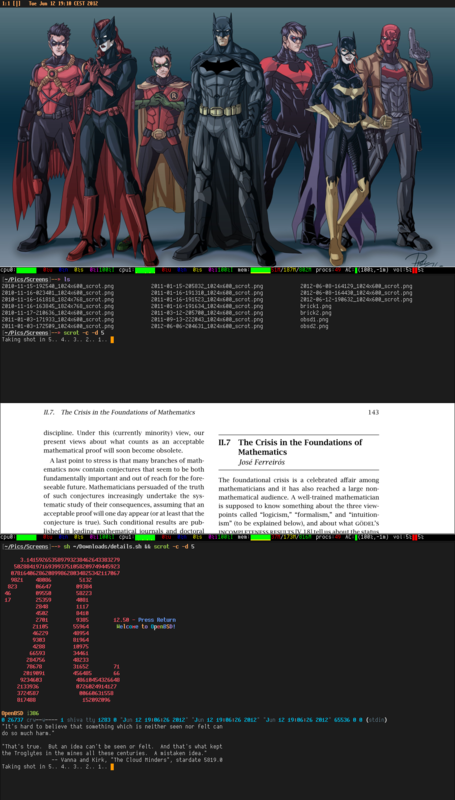 It runs on the latest stable kernel 2.6.29.2, compiled with framebuffer support. Of course I haven’t played around with 915resolution yet to get the right resolution. But 800×600 is so much better than the boring console without framebuffer. So comment on the screenshot. Click on it for full view.